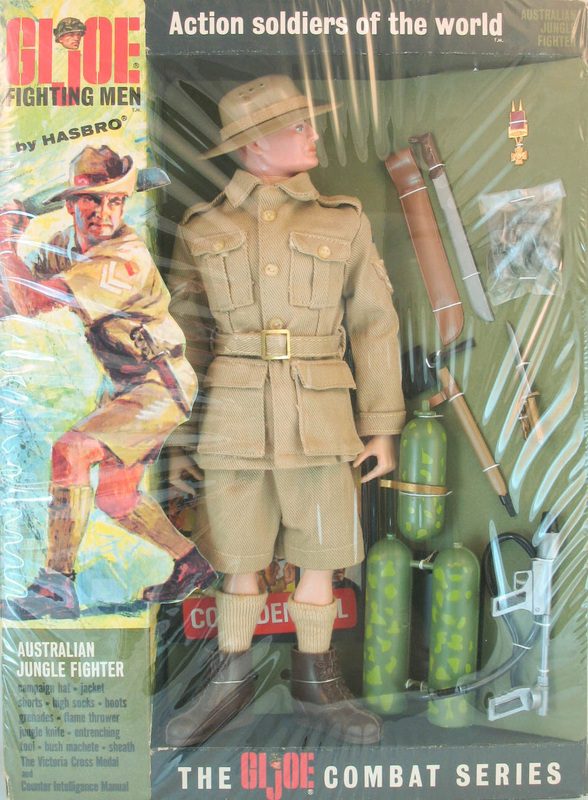 The Australian Jungle Fighter's uniform and equipment showed up later in the run, the accessories (except the flame thrower) on the Action Soldier Jungle fighter card, and the uniform and hat in the Desert Patrol Jeep set. 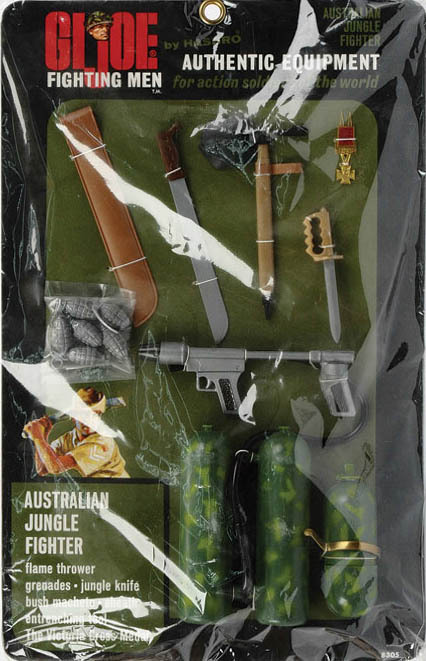 The hat, machete, knuckle knife, and flame thrower also made an appearance in the Marine Jungle Fighter set. 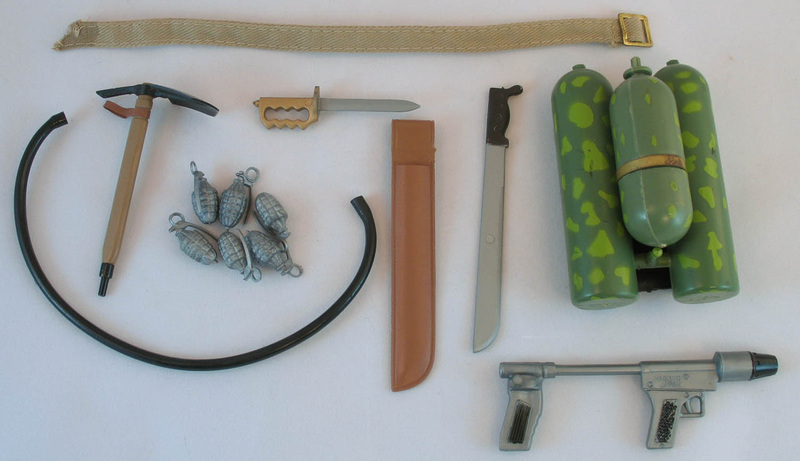 The set was available in a deluxe window box (8105) and as a narrow figure box (8205) and a carded set of accessories (8305).